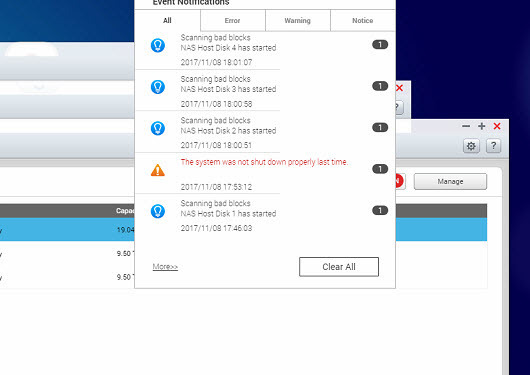 I – A Folder in Qnap iSCSU Lun Starts to Give “The File or Directory is Corrupted and Unreadable ” And Cannot Access Data Anymore! II – Why This Problem Appears? IV – What to do To Stop This Problem For Future Cases? 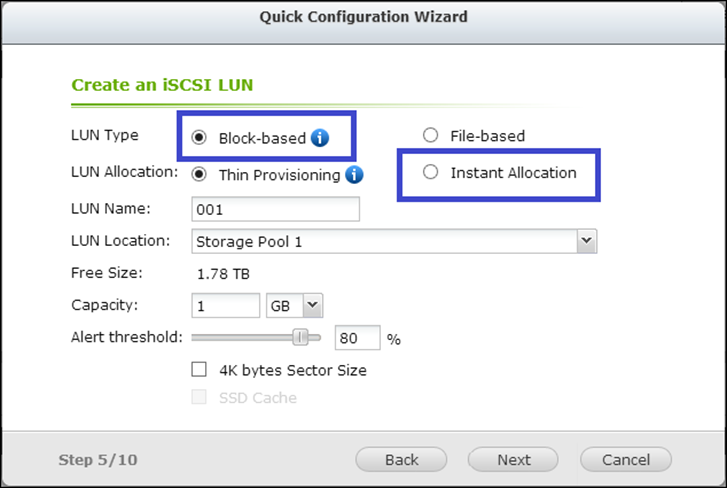 Create Block Base Lun, Disable RAID Scrubbing, Dont Shut Down NAS With Power Button Direclty! Sometimes, when you plugged in an external hard drive, USB flash drive, SD card or some other storage devices into your computer runs Windows 10/8/7/XP/Vista or some other previous versions, Windows prompts error message: “Drive H:\ is not accessible. The file or directory is corrupted and unreadable.” If you check the file system of the device, you are likely to find that it is RAW file system. When location is not available error with “The file or directory is corrupted and unreadable” message happens, you can not access your device and might end up with huge data loss at most times. To avoid the disaster, next, we will show you how to fix the error in Windows 10/8/7/XP/Vista with 3 simple steps. Dont Shut Down NAS While A Backup Software Writin Data on Your Luns! Else Folder Maybe Corrupted! If you unplug a removable disk from the computer without using Safely Remove while the drive is transferring or reading data, you will risk losing vital files system information. This is one of the most common reasons for “The file or directory is corrupted or unreadable” error. MFT is short for Master File Table and is included in NTFS file system. It contains all the information about a file such as file size, creation time, and access permissions. Like MFT, FAT (File Allocation Table) is included in FAT file system. It tells operating system where the file is store. Thus FAT or Master File Table corrupted will make system won’t be able to access data from the NTFS or FAT partitions. When your computers, USB flash drive, memory card get infected with virus, the file system might be corrupted and shows “The file or directory is corrupted and unreadable” error. Hard drive, USBs, flash drive or memory card can be corrupted on account of bad sectors which are no longer accessible or writable due to permanent damage. Partition information such as file system usually saved on specific location. If this location includes bad sectors then the operating system will fail to access data. Then you’ll get “The file or directory is corrupted or unreadable” error message. Checking and repairing disk errors and file system can fix “The file or directory is corrupted and unreadable” error caused by bad sectors, virus infection or file system corruption. 1.Click on Start –> Run –> Type cmd and press Enter to open cmd command Command Prompt. 1. Launch EaseUS partition tool, right-click the inaccessible partition and choose “Check partition”. 2. Choose the way that you want to use to check partition: “Check Partition Properties”, “Call Windows Chkdsk to fix errors”, “Surface Test”. 3. Let the software automatically check and repair hard disk partition errors. Finally, click “OK” to finish the process. If you CHKDSK cannot help, you can choose to recover your data and then format the disk for reuse. EaseUS free data recovery software is recommended. Being able to recover data from hard drive with bad sectors, virus, corrupted file system or deleted/damaged unreadable file directory, it is the best solution to protect your important data from the possible data loss disaster that caused by “The file or directory is corrupted and unreadable” issue. After retrieving all your data, you can use EaseUS partition software to format the disk to permanently remove “The file or directory is corrupted and unreadable” error. 1. Connect the questioned disk to PC, launch EaseUS partition tool, right-click the disk and choose “Format partition”. 2. A mini window pops out, on which you can edit the partition label and choose a file system. 3. Click “Apply” to confirm to format the disk to make it work properly. 2 – Please Disable RAID scrubing.. Thic may cause data corruption if a data is written on NAS while RAID scrubbing starts! 3 – Most Inportant thing, Dont shut down NAS while a Camera Recording or a Backup Job is Running. This cause your luns turn into “RAW” file system.